They have done certain things (consciously or subconsciously) in order to bring themselves from infancy to healthy, normal maturity. And if you (who may not be so healthy) will do just these same things, there is no reason why you too should not be just as healthy as they. This little book is my attempt to tell you just what this healthy man did in order to be just what they are. 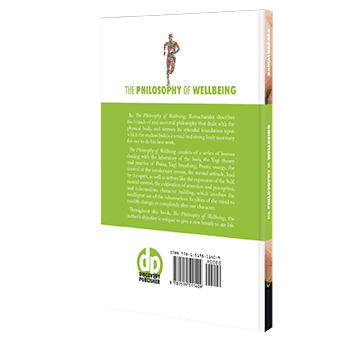 In The Philosophy of Wellbeing, for Him, William Walker Atkinson describes the branch of and ancestral philosophy that deals with the physical body, and stresses its splendid foundation upon which the student builds a sound and strong body necessary for one to do his best work. 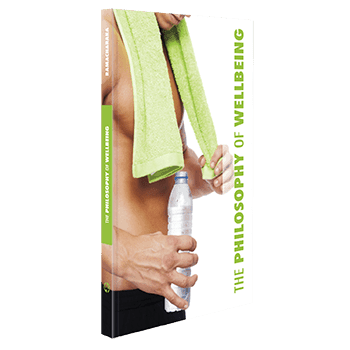 The Philosophy of Wellbeing, for Him consists of a series of lessons dealing with the laboratory of the body, the Yogi theory and practice of Prana, Yogi breathing, Pranic energy, the control of the involuntary system, the mental attitude, lead by the spirit, as well as actives like the expansion of the Self, mental control, the cultivation of attention and perception, and subconscious character building, which involves the intelligent use of the subconscious faculties of the mind to modify, change, or completely alter our character. Throughout this book, The Philosophy of Wellbeing, for Him, the author’s objective is unique: to give a new breath to our life. William Walker Atkinson (December 5, 1862 – November 22, 1932) was an attorney, merchant, publisher, and author, as well as an occultist and an American pioneer of the New Thought movement. He is also thought to be the author of the pseudonymous works attributed to Theron Q. Dumont and Yogi Ramacharaka. He is the author of an estimated 100 books, all written in the last 30 years of his life. He was also mentioned in past editions of Who’s Who in America, Religious Leaders of America, and several similar publications. His works have remained in print more or less continuously since 1900. ©Copyright Discovery Publisher — All Rights Reserved.